Property buyers, sellers and realtors trust Loveridge Roofing for thorough inspections and unbiased roofing reports and appraisals. 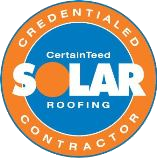 Our certified, licensed, and trained employees install all materials according to the exacting specifications for each manufacturer, ensuring not only a valid warranty, but the maximum roof life span possible for the given conditions. Relatively new roofs may appear fine when examined from the ground level, and some consider roof inspections unnecessary expenditures. However, often roofs are improperly installed. The seasoned eyes of Loveridge Roofing's skilled inspectors can frequently find inadequate fasteners, shingles improperly attached, and/or critical roof interface locations such as flashings, valleys, skylights, gutters and chimneys that don't meet industry standards that result in compromised roof life and/or safety hazards. for all your real-estate-related residential or commercial roofing needs. As a service to real estate companies and potential home buyers, we offer a 5-year roof certification which certifies that the roof will be leak-free for 5-years. Overall roof integrity, functionality and appearance. No missing or damaged shingles or tiles (including weather damage such as hail). No fascia or soffit damage. Proper installation of all roof penetrations. Proper installation of step flashings on side walls. Proper installation of head wall flashings. Proper installation of chimney flashings. Proper installation of skylights or solar tubes. Proper installation of water diverters. Proper installation of snow guards or brackets. Proper installation of heat tape. Proper installation of swamp cooler flashings. Proper installation of gutters and downspouts; no gutter drainage issues. Proper installation of drip edge metal on eaves. Valleys are straight and installed properly. Ridge cap is secure and not cracked; ridge vents are properly installed. Shingles are granulated and fiberglass backing is intact. Underlayment is present and properly installed. Pipe jacks are intact and not deteriorated. Turtle vents are functioning appropriately and installed correctly. B-vents, turbine vents and other exhaust vents are functioning and installed properly. Laundry vents are functioning and installed properly. All roofing components are up to code. After the on-site inspection, if our roof inspector does not feel that the roof can be certified, we will suggest appropriate repairs that must be completed to finish the certification. The Loveridge Roofing 5-Year Roof Certification Program is thorough. We check a wide variety of important roofing trouble spots; we know what to look for, such as potential water/snow dams. When we have completed our extensive inspection, you can rest assured that a certified roof will perform as expected for the full duration of the 5-year program, and typically far, far beyond.